Chess sets - unique chess sets for sale & chess pieces in marble, glass, stone, & wood from the #1 chess sets store. Get discounted chess sets at low prices. If you're looking for chess sets at the lowest possible price, look no further - you found it at 1st Class Chess Sets & Games. Our staff is here to answer any questions regarding our chess sets, backgammon sets, & accessories. Click on image to enlarge BG505-2319. Premium, Green Sorrento Backgammon Set. We take great pride in offering our customers the highest level of quality products coupled with great customer service and the best prices available GUARANTEED. What do we mean by "guaranteed"? Its simple. We are so confident that we offer the lowest prices on our products that if you find the same product anywhere on the internet for less, simply call us or e-mail us with the web site address along with the item number and WE WILL BEAT THEIR PRICE, GUARANTEED. Its that simple. 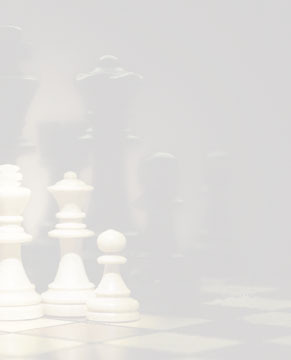 We are proud to offer our customers a large variety of the highest quality Unique Chess Sets constructed of Wood, Marble, Crystal, Glass & Stone. We offer a variety of Luxurious Chess Boards, in Metal, Staunton, Brass & Brass with wood combinations. We also stock Chess Pieces, Civil War chess sets, Chess Tables, Tournament Size Backgammon Sets, Professional & Compact Size Backgammon Sets, Chess Sets for Kids, Chess Clocks & Timers, Combination Chess, Backgammon & Checkers Sets, Themed Chess Sets for collectors, Unique, Historical & Themed Chess Pieces, Unique Chess Boards, Unique Backgammon Sets, Chess Computers and other cool stuff for your playing enjoyment. Our site provides our customers with total shopping confidence and security. All online purchases are protected by Patented SSL Technology (Secured Socket Layer with 128 Bit Encryption) so you can feel comfortable shopping with us. Please feel free to browse and thanks for visiting 1st Class chess sets and games. If you have any questions at all, please feel free to e-mail us!